President and founder of Living Loved Ministries, Inc. Before starting Living Loved Ministries he spent the last 29 years as a Senior Pastor in Georgia and North Carolina. During that time he grew increasingly burdened by the number of deeply wounded people in his congregations. His heart cry has been for the Lord to use him in the healing of hearts for the glory of Christ. Jim has given much of his life to a biblical understanding of the message of Christ’s sanctifying work. He has a deep burden to help Christians become all they were created to be in Christ, so that they might flourish in life as God intended them to. Jim has a genuine love for people and a deep confidence that his heavenly Father can deliver all who call upon Him from darkness and deception. He is convinced God’s love is greater than their rejection, His strength is greater than their weakness, His power is greater than their rage, His comfort is greater than their pain, His joy is greater than their sadness and His healing ability is greater than their gaping wound. Jim married his sweetheart and friend Robin in1975. They have the joy of being the parents of two sons and a daughter. They now have a daughter in-law and a son in-law and three wonderful grandchildren. 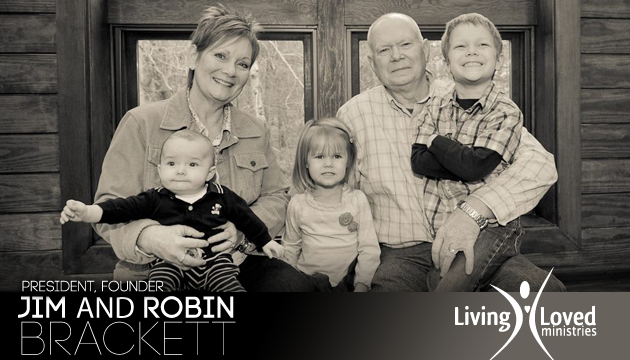 Jim and Robin are lovingly devoted to their family and spend much of their free time with them. They love living in the mountains of Western North Carolina near Asheville.